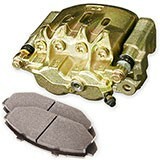 Brake Performance offers a Rebuild Kit for your existing original equipment Calipers. 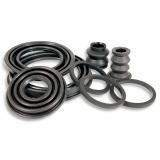 Each kit consists of Piston Seals and Dust Boots for solving any leaks or torn dust boot issues. 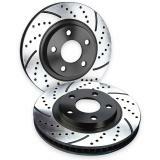 They are manufactured to meet or exceed factory specs and guaranteed a factory fit. We carry a huge inventory of Rebuild Kits to accommodate just about any make and model. Rebuilds original Calipers with new heavy-duty internal parts. Our Brake Performance Brake Caliper Rebuild Kit is guaranteed to rebuild your factory brake Calipers. You can install them with no worries about factory fit or function. We do recommend you have a certified mechanic install the kit. Recommended for any vehicle with Brake Calipers needing rebuilding. If you have any questions or need assistance choosing the correct Brake Caliper Kit for your vehicle call our brake experts toll free at 866-756-5536.